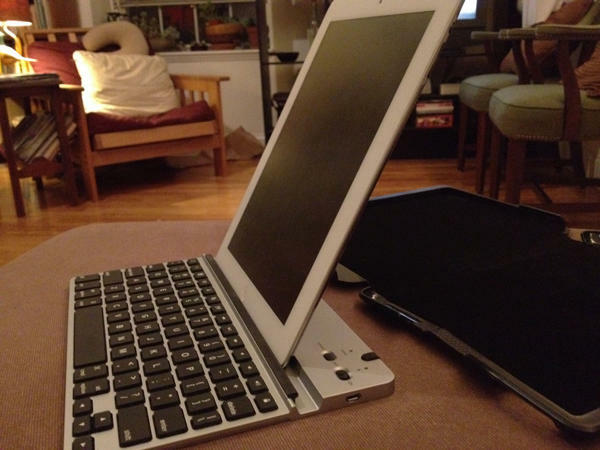 In Part 1, I covered three different iPad Keyboard cases, and all were good for various reasons, but none gave me everything I was looking for. I wanted a decent keyboard, good build quality and a reasonable weight. Feeling a little bit like a tech-Goldilocks not finding quite the right fit, I pressed on. The next two have been well-reviewed and generally liked by the critics. But how well did they hold up in actual use? Read on to find out. 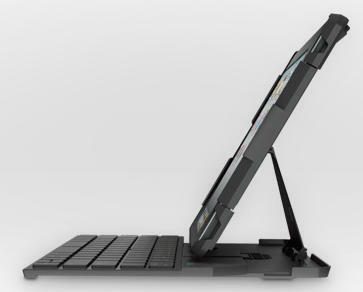 While it seems the ZAGGfolio is slightly heavier than the Adonit Writer, that’s only by a smidge. That, however, takes nothing away from the fact that it’s still an amazingly lightweight accessory that offers a lot of flexibility — perhaps too much. 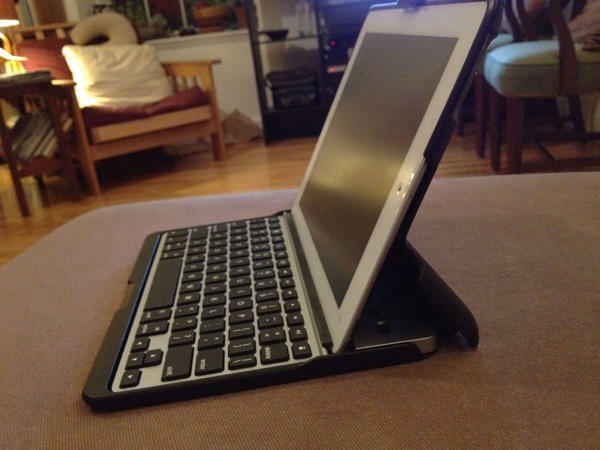 When I first started using the ZAGGfolio, I immediately loved that the iPad was easy to remove from the case, as was the keyboard, a fact that allows users to situate the device (into the rubberized slot) in portrait mode. The only issue with this, however, is that clumsy iPad typers have the risk of knocking the tablet out of the slot. Indeed, this risk is still there even with the folio case on, since there’s nothing holding the tablet in place other than gravity and the grippyness of the rubberized slot. I found this out on a couple of occasions when I reached for it a bit too hastily, grabbing the device right out of the keyboard. To be honest, though, these are fairly minor quibbles in light of the main aspect — those spectacular keys. Seriously, island keys are the way to go. There’s a clear separation between them, making touch typing easy. And it even performs magic — although these keys are smaller than regular keyboards, just like the others, I barely noticed it here. Each key has great travel, the quality and spring action are nothing but topnotch. What might be the best part about is this: If you graduate to a future iPad or another tablet or big smartphone, you can still use this product (just without the case). 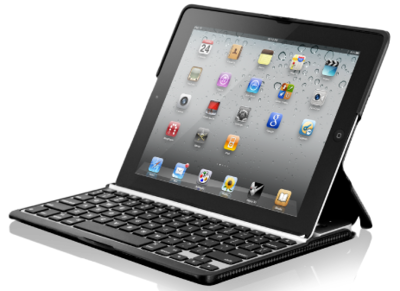 If it wasn’t for the next product (below), this would be my favorite iPad case/keyboard combo to date. After all this testing, I have fallen in love. There’s just nothing like a decent, full-size keyboard, although Logitech had to make a few compromises to make this happen. First off, the space bar is split in half, and occasionally my finger would fall into the crevasse. Second, there are no dedicated iPad-only buttons, though the functions are shared with the number keys (via a “fn” button). The sides of the keyboard are also a little flimsy, though it’s not really noticeable too much when you’re actively typing. 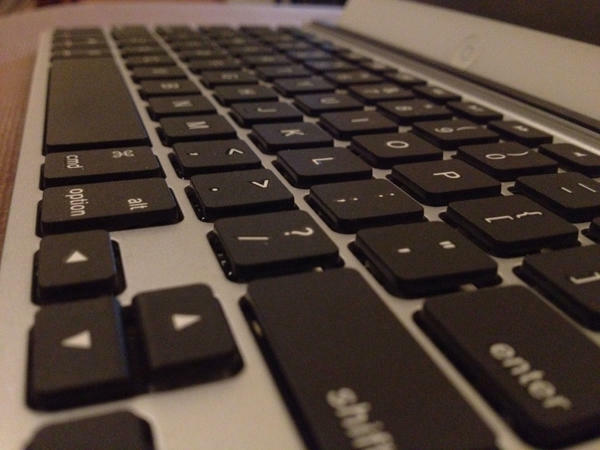 While nowhere near as light as the Adonit Writer 2 or the ZAGGfolio, it’s also not as heavy as the Clamcase or Rocketfish Capsule, putting it firmly in the medium-weight class of keyboard cases. But none of the negatives I found could take away from the spectacular feeling of typing on a roomy keyboard that can fold up so compactly. Hands down, among all the products I tested here, this is the one I keep coming back to. I know that $130 price tag might seem like a chunk of change (though it’s not as much as the Clamcase). Every once in a while, though, you come across a product that’s worth every penny. For me, this is one of them. 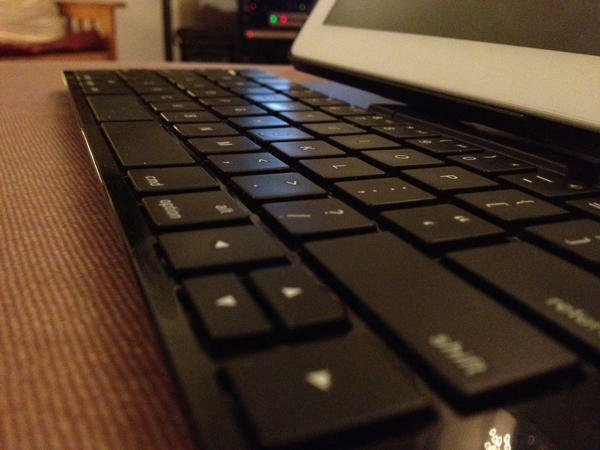 Do you own one of these keyboards? Weigh in with your experience. Or if you know of another worthy contender that belongs on this list, share your observations below!